B. Surface Finish: Polished, Flamed, Honed, Bushhammered, Sandblasted, Antique, etc. Thickness Tolerance: +/-0.5mm for 1cm tiles, +/-1mm for 2cm tiles. 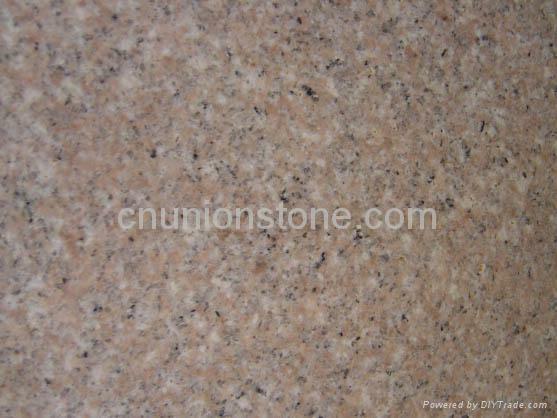 E) Other Granite Colors: G603 Light Grey, G633, G623, G614, G602, G439, G635, G664 Bainbrook Brown, G696, G672, G687 Peach Red, G562 Maple Red, G681, G611, G682, G636, G654 Padang Dark, G684 Black Pearl, Shanxi Black, Mongolia Black, India Black, South African Red, Multicolour Red, Tianshan Red, Imperial Red, Tiger Skin Yellow, Tiger Rust, Tan Brown, Blue Pearl, Wave White, Paradiso, Bahama Blue, China Green, Olive Green and more.